If you have not already read the post about how I launched a $7 eBook that made me $966.01 this page will make little sense. As you know I initially put this together for myself so it isn’t one of those things you’ll see launched to 1000s next week. Why… well because I do not want this to impact my own earnings (or yours if you get a copy). As such; My eBook Product Launch: $966 Case Study will be limited to 30 people Today… As you are reading this page, access is still open. And No I won’t be charging you for it either… but I won’t be just giving it away willy-nilly either. You see if I just give this training away without any commitment on your part the likelihood is you will not see the value in it and therefore do nothing with it. Purchasing this product through me is your commitment… and doing so will get you access to My eBook Product Launch: $966 Case Study (1 hour+ Training). have seen If you have read my post (on my blog). 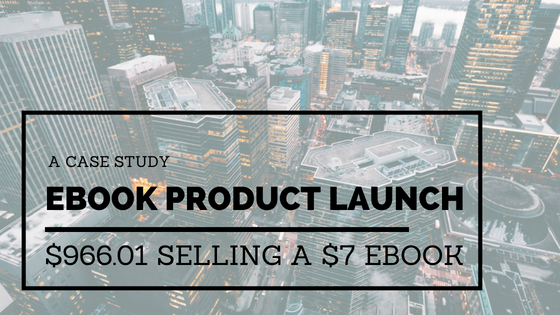 Access to My eBook Product Launch: $966 Case Study will be delivered instantly after purchasing the product mentioned above. To access simply go to your purchase area in W+ or Jvzoo, Click the bonus link and the page containing your full training coupon code will open instantly.